I had the chance to visit Trondheim, Norway, a couple of years back. It's a great little city in central Norway, that, while not worth a visit alone, surely is a great stop when in comes to exploring these parts of Norway, or even if you are on your way further north. 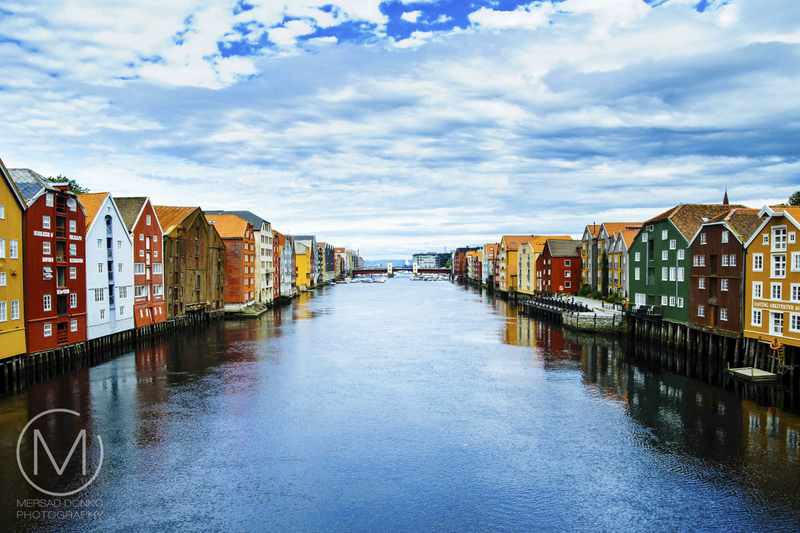 Trondheim lies on the south shore of the Trondheimsfjord at the mouth of the river Nidelva. There are many iconic sights form here, including the wharves at the eastern bank of the river Nidelva, depicted in the shot above. The city is dominated by the Norwegian University of Science and Technology, and other technology-oriented institutions, which in result means that students comprise almost a fifth of the population of the city, and thus it is heavily influenced by student culture. The Nidaros Cathedral and the Archbishop's Palace are located side by side in the middle of the city centre. 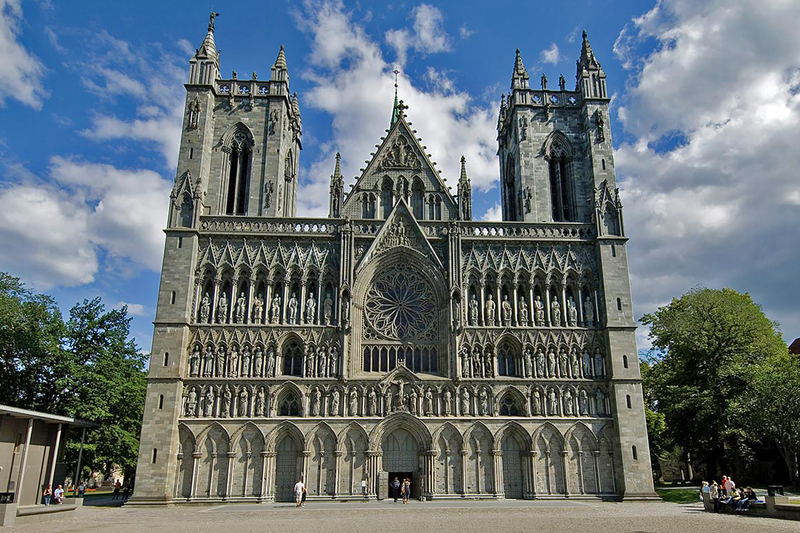 The cathedral, built from 1070 on, is the most important Gothic monument in Norway and was Northern Europe's most important Christian pilgrimage site during the Middle Ages. Today, it is the northernmost medieval cathedral in the world, and the second largest in Scandinavia. Most of the downtown area of Trondheim is scattered with small specialty stores and shops, however a considerable part of the downtown shopping area is concentrated around the pedestrianized streets Nordre gate (Northern street), Olav Tryggvasons gate and Thomas Angells gate even though the rest of the city center also is riddled with everything from old, well-established companies to new, hip and trendy shops. 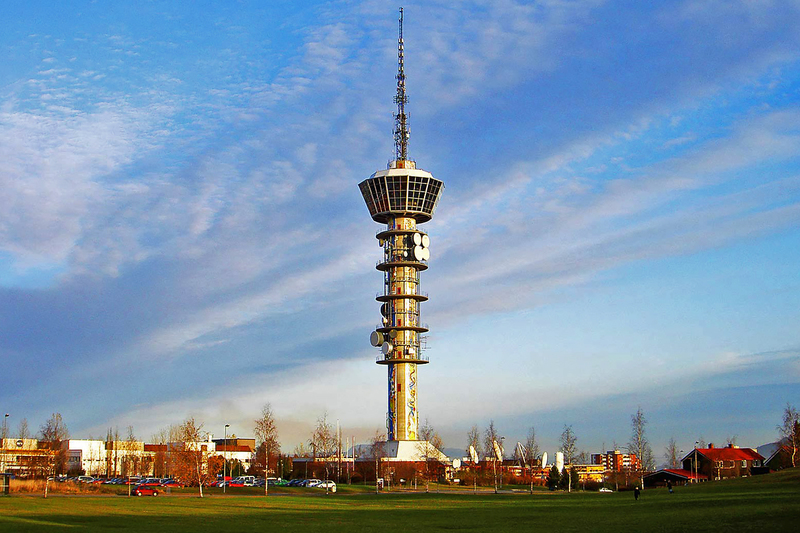 Tyholttarnet (Tyhold Tower) is a 124 metre high radio tower with an observation deck that is located in the city. The tower was built in 1985 and features a revolving restaurant, that I visited and had lunch in. The restaurant is 80 metres up, and makes one complete rotation per hour. Exploring the rest of Norway from Trondheim is very easy, since the city is well connected. 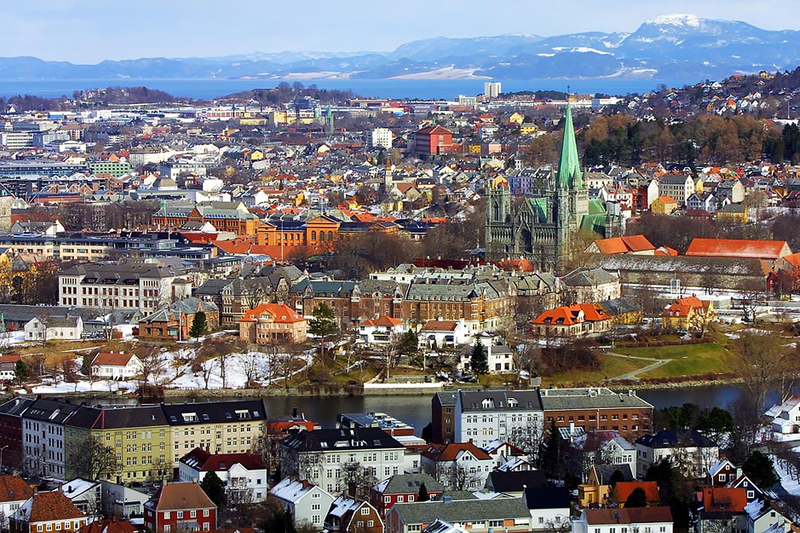 Trondheim has an international airport which is Norway's fourth largest airport in terms of passenger traffic. I arrived in Trondheim, via a flight from Oslo. Major railway connections are the northbound Nordland Line, the eastbound Meraker Line to Are and Ostersund in Sweden, and two southbound connections to Oslo, the Roros Line and Dovre Line, the latter of which I took when I was returning, and it's a scenic ride, that I highly recommend. 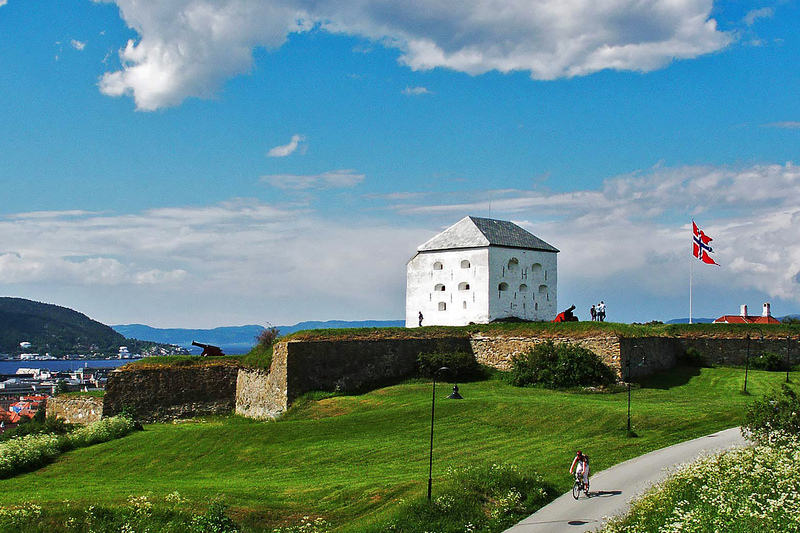 Other places of interest around Trondheim are: Bratsberg just outside of the city and the Kristiansten Fortress, shown in the image below. I hope you enjoyed the sights and stories from Northern Europe. 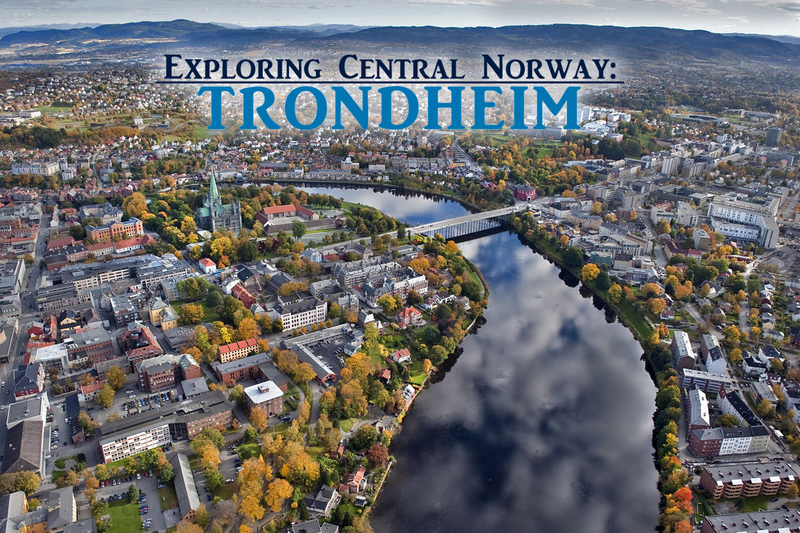 Let me know what you think of Trondheim! Lovely photos, so sharp and bright colors! Traumhaft schöne Bilder lieber Mersad. Hast das erste aus dem Flugzeug so gut erwischen können? Hello Mersad, lovely post on Norway.. I love the colorful buildings and I would love to see the Fjord and nature scenes.. Awesome photos! Happy Easter, have a great weekend! the river and the cathedral scenes are beautiful! Oh, how beautiful! 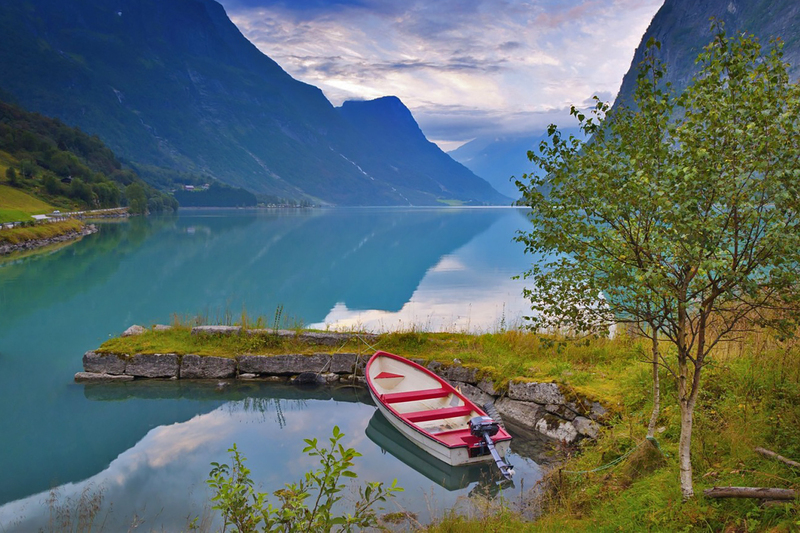 Thank you for sharing...I dream of visiting Norway one day. Despite having had Norwegian friends and colleagues it is a country which I have never visited. The town looks like it would be an interesting place to visit but I would really love to se the fjords. Exploring the fjords is something that was left on my wish list after I returned, so I really have some incentive to go back. Lovely scenes indeed and superb captures as always, Mersad!! Such a beautiful cathedral and I do love the river!! Hope you have a great weekend!! Wow, wow and more wow! The colors and reflections on the water get me every time. Beautiful shots and I love the colorful buildings! What a delightful and colorful place!! Thanks for the tour and excellent images. The cathedral facade is so reminiscent of the French Gothic... I wonder if there were some French workshops involved in its construction. Another place I would LOVE to see in person! Beautiful! Norway is an amazingly beautiful country to visit. 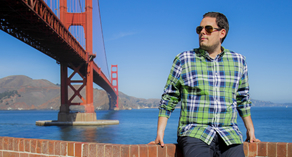 Incredible images of a favorite city. We've been there many times by ship. Happy Easter! Great photos. I enjoy visiting the world, some by plane some by cyber Hope you have a beautiful week. You are certainly a well-traveled young man! I envy all the wonderful trips you make and the photos you take to preserve those images. These are just spectacular. Beautiful photos of this city and environs! I love the shot with the boat, and the one of the houses on the canal! I would think Norway would be a fascinating place to visit!